Lease-to-own a brand new, motorized scooter for an affordable monthly payment and we’ll outfit you with gear and take care of your regular maintenance till it’s paid off. Let MyCityRides help you get somewhere! Fill out our online application. When it's approved, you’ll receive an email with a link to sign up for Scooter School. During two sessions - one in a classroom and one on the road - you’ll get the instruction and practice you need to safely own and operate a scooter. We’ll coordinate a time for you to go to the DMV to test for your Class M Endorsement (the license required to drive a scooter). You’ll take a 30 question written test, then hop on a scooter we provide for a road test. After you pass your test, you'll pick up your scooter and temporary tag. We'll work with you (or your employer) to set up your monthly payments. 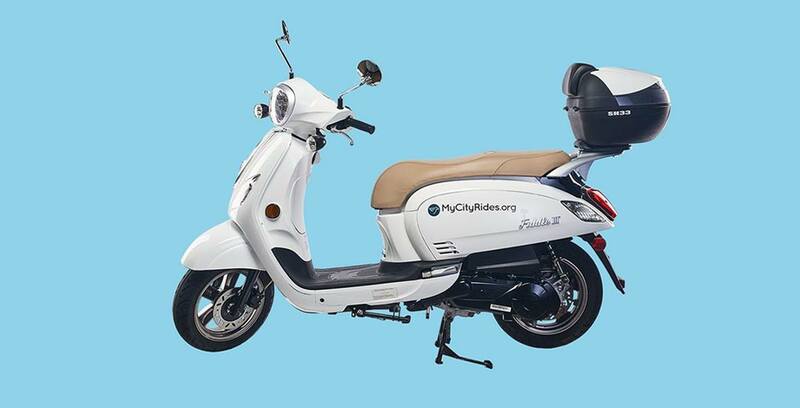 Take to the streets as an official MyCityRides flyer. Ride to work, run errands, participate in our group rides - it's up to you. See how much you'll save when you scoot. Owning a MyCityRides scooter costs about $0.14 per mile. That’s cheaper than owning a car, booking a ride share, or taking the bus round-trip. We believe that working people should have access to transportation that’s reliable, affordable, and gives them the freedom to get where they need to go. Get to know our rides. Our flyers ride SYM Fiddle III scooters. Sure, they look cool — but they’re also seriously powerful. MyCityRides is a great way to simplify my life. I now have the freedom to direct some of those finances that used to go to gas, car payment and insurance to other day-to-day expenses. By far the biggest advantage to scooting is peace of mind. Knowing that I am in a better financial place now is a big relief. MyCityRides gets you directly into a friendly, knowledgeable, and fun community that is there to get you where you need to go! Scooting grants me freedom with the self-efficacy of having stable, cost-effective transportation. I now have a greater chance to explore all avenues that will help me as a graduating senior. I owe it all to MyCityRides’ mission to make Memphians scoot. Help your employees get to work. It’s tough to find great employees. And, it’s hard to keep them if they’re unable to get to work consistently due to limited public transit, long commutes or lack of transportation. 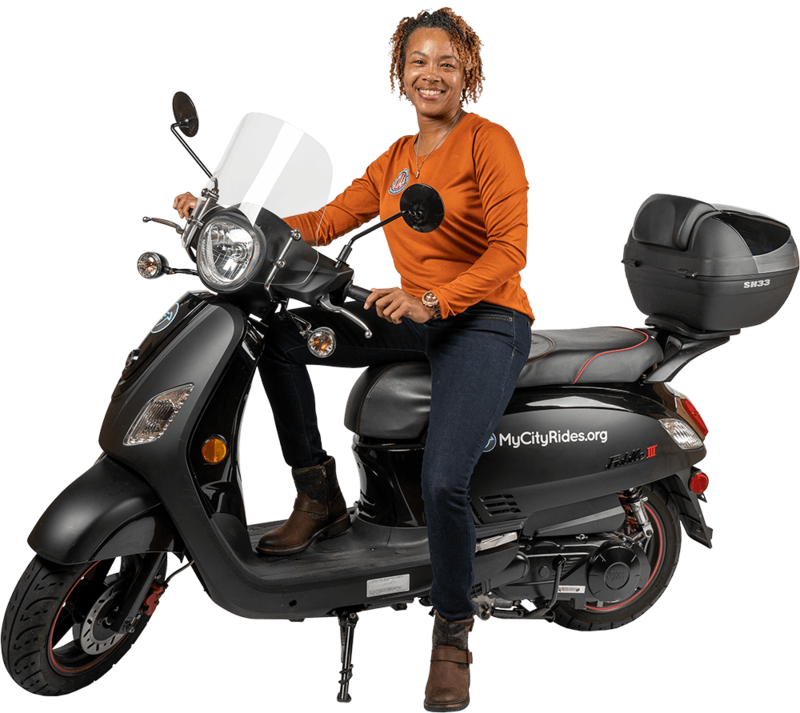 When you partner with MyCityRides, your employees can lease affordable, reliable motorized scooters through payroll deductions. By offering lease-to-own scooters at a fixed cost, we make getting to work easy and affordable. But we can’t do it alone. 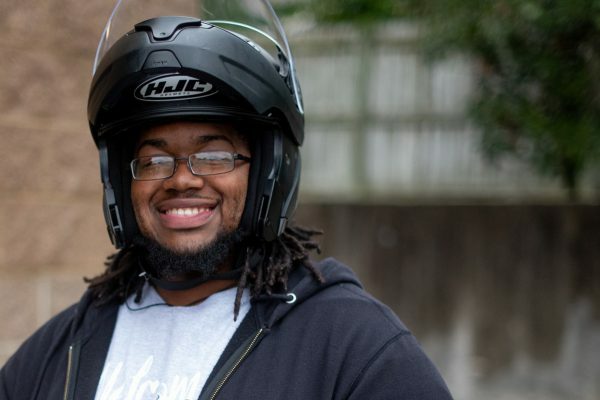 Your donations help us provide working Memphians with scooters, gear, and training. © 2019 MyCityRides. All Rights Reserved.